From God’s declaration in Genesis 2:18, “It is not good that the man should be alone,” to Jesus’ summary of the law in Matthew 22:37-38, “You shall love the Lord your God with all your heart … and your neighbor as yourself,” and his prayer for us in John 17:21, “May [they] all be one, just as you, Father, are in me, and I in you,” Holy Scripture is saturated with instruction about relationships. Our God is an intensely relational God who calls us to emulate his commitment to relationship: “Therefore be imitators of God, as beloved children. And walk in love, as Christ loved us and gave himself up for us, a fragrant offering and sacrifice to God” (Eph. 5:1-2). Therefore, it should not surprise us that the Bible contains thousands of passages that teach us how to deepen, protect and enjoy our relationships with God and the people he has placed in our lives. God’s teaching on relationships is consistently three dimensional. In passage after passage, he tells us how to be faithful to him (love, trust, worship, obey), how to discipline ourselves (know yourself, self-control, put off/put on), and how to serve our neighbors (love, pray, encourage, forgive). Passages in the Bible that talk about God are intended to inspire and motivate us. These passages encourage us by reminding us what God is like, what he has done, and what he promises to do for us and through us. In these “360” passages, God gives us a double dose of motivation: having two opportunities to reflect on how he loves and serves us, we can be doubly motivated to love and serve others the same way. For a more detailed discussion of the three-dimensional design of relationships, and related writings by CS Lewis, John Stott, Tim Keller, and John Frame, see Wired to Be 3D: RW and Tri-Perspectivalism. The Bible’s teaching on relationships can be organized in many different ways. 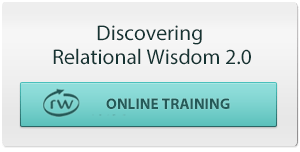 I have found it helpful to organize these teachings into six primary skills or disciplines. 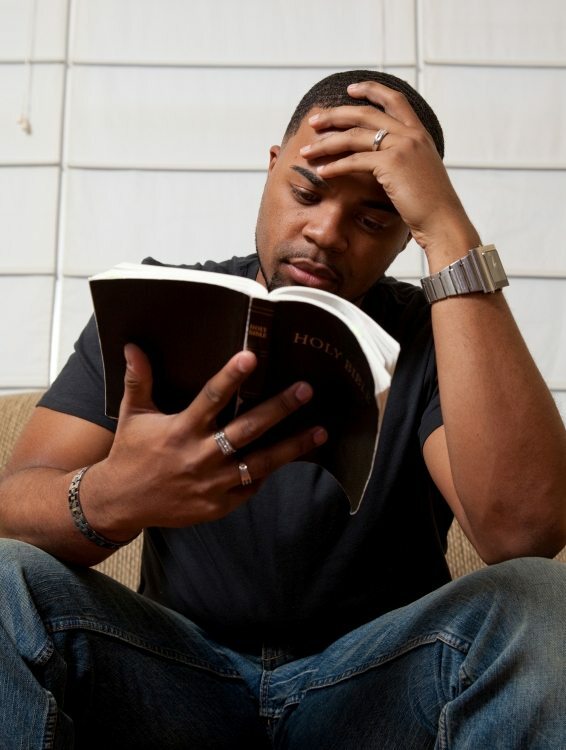 Each of these disciplines encompasses hundreds of Bible passages and is tied to major theological concepts that form the foundation for the Christian faith. Here is a brief list of some of the Scriptures and theological concepts that are associated with each discipline. God-awareness (remembering) is your ability to view all of life in the light of God’s character, works and promises. God-engagement (faithfulness) is your ability trust, obey and imitate God in a way that pleases and honors him. Self-awareness (humility) is your ability to honestly discern your own emotions, interests, values, strengths, and weaknesses. Self-engagement (discipline) is your ability to master your thoughts, emotions, words and actions so that they advance God’s purposes. Other-awareness (compassion) is your ability to understand and empathize with the experiences, emotions and interests of others. Other-engagement (serving) is your ability to encourage, cooperate and resolve differences with others in a mutually beneficial way. For additional insights into the theology of relational wisdom, see Emotion in Christian Anthropology. Every narrative in the Bible describes a relational interaction. People are constantly enjoying or struggling with God, themselves, or others. Many of these examples illustrate how the six skills of relational wisdom reinforce and support one another. 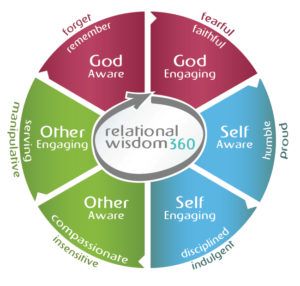 For example, when David was a young man, he typically lived inside the circle of relational wisdom. When he first came into the service of King Saul (1 Sam. 17-18), David remembered God’s goodness and holiness and faithfully obeyed him. His God-awareness fostered humility and self control, which overflowed in compassion and sacrificial service to others. 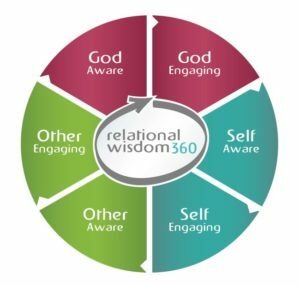 Other narratives illustrate how disastrous it can be if we spin outside the circle of relational wisdom. Consider David’s affair with Bathsheba (2 Sam. 11). When he walked on the roof of his palace and saw Bathsheba bathing, David forgot God’s holiness and laws. He swerved from being faithful to being fickle, ignoring commandments that stood in the way of immediate pleasure. Giving in to pride (“I’m the king; I can do what I want”), he chose to indulge his lust, being completely insensitive to how his actions could harm others. When Bathsheba became pregnant, David resorted to wicked manipulation. He called her husband home from the army and got him drunk so he would sleep with his wife. When that failed, David sent Uriah back to his death in battle. Sexual immorality and murder haunted David’s house for generations afterwards. Similar narratives involving other familiar figures–Abraham, Jacob, Joseph, Moses, Joshua, Ruth, Samson, Saul, Abigail, Absalom, Solomon, Esther, Peter, and Paul–illustrate the blessings of walking in wisdom and the disasters that await us when we fail to value the relational principles God has revealed to us in his Word. For further examples of how Scripture supports and informs the six disciplines of relational wisdom, see the Study Guide for an RW seminar.